Durable mainsails for offshore use are best built from taffeta backed kevlar, this also applies to 36 feet upwards heavy genoas, the fronts of these sails can be transparent film on film fabric if required for lightness and ease of handling. It is possible to build an exceptionally light kevlar/carbon sail, but it will have a limited wind range and short life with poor durability, if however the fabric weights are increased by about 10-15 % a considerable life increase can be expected. Mainsails ,a maximum of 2 rows of reef are fitted so the sails load path panel construction is not compromised by local reefing strains, panel joins near reefs are reinforced for durability ,because laminate sails hold designed shape in strong winds reef depths are increased and each reef will cope with a higher wind speed than a dacron sail. Sail design for laminate sails. Taking into consideration the yacht type, displacement, stability and rig height etc a maximum anticipated fabric load is calculated for the leach above the clew and the head, these are the highest loaded areas of the sail. it is vital that the fabric in use does not stretch beyond 1% (the elastic limit of the mylar film) ,so a fabric is chosen that will contain the sail loadings within this limit ,plus a safety margin , the triradial panel layout allows a lighter fabric for the lower loaded front of the sail ,often 3 different types of fabric are used in all. the panel layout is computer generated to align each panel to the local load path out of the corners and up the sail. 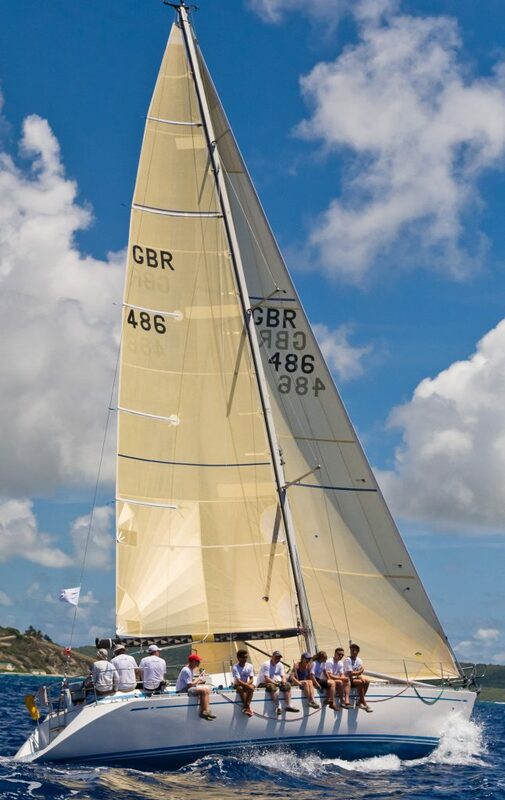 Designed as a durable high performance sail for offshore racing with a single taffeta leach and film front , with a single deep reef , the best light weight woven luff tapes are fitted .kevlar leach line with 2 :1 purchase for ease of use in the cockpit. 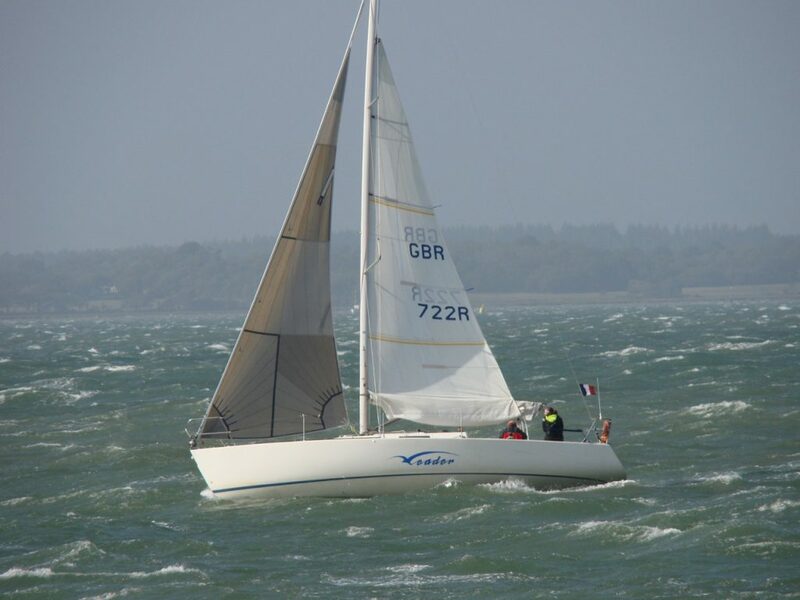 High tech laminating techniques have produced fabrics with load bearing fibre in all directions (or every 20-30 degrees), makes for a very durable crosscut sail ,ideal for offshore Racing . 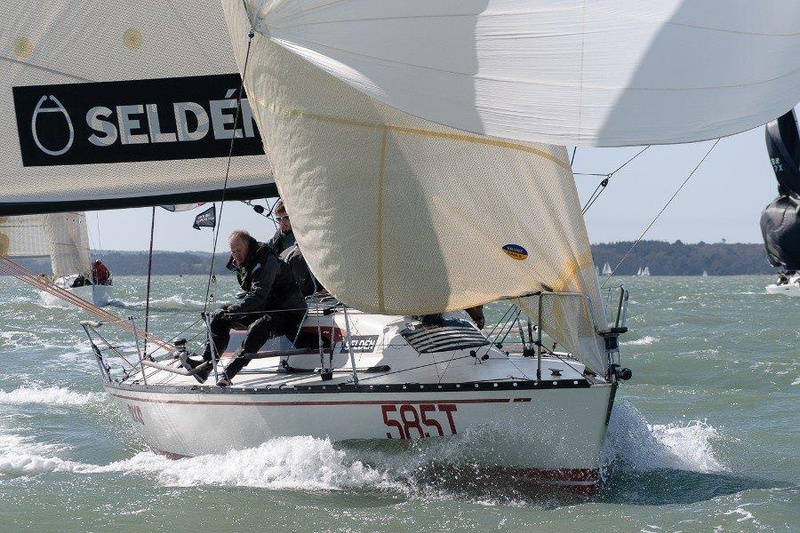 Ideal for short handed racing ,designed for a long racing life ,the two full length top battens keep the sail flat in all conditions ,the pentex double taffeta leach will put up with abuse during reefing and being overpowered without 7 or 8 crew on the rail. low friction luff tape for easy hoisting and adjustable batten boxes on the top 2 battens are fitted. 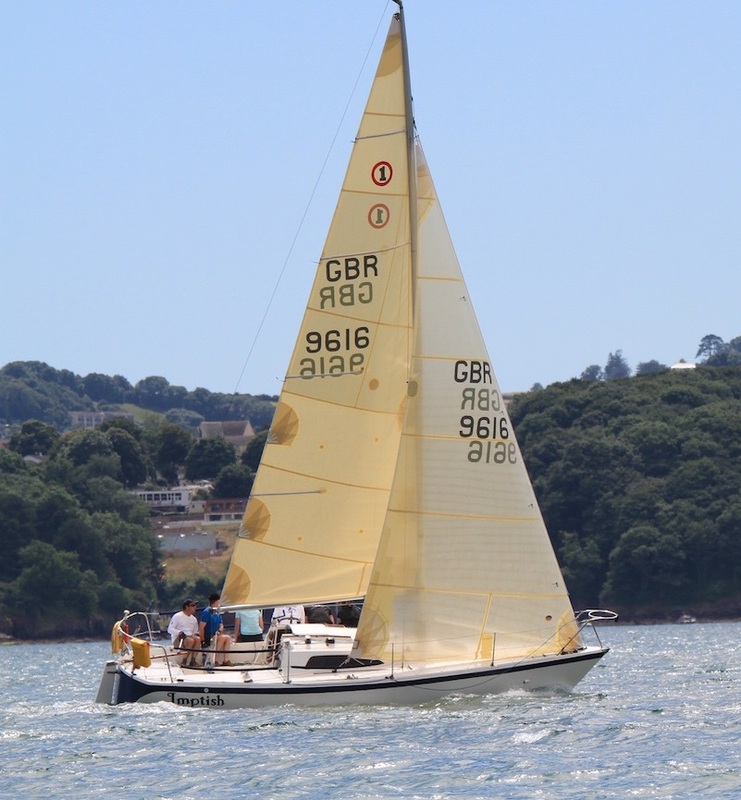 modern spinnakers require a more forward sheeting block position to give best speed when reaching often a tweaker or floating block does this job , otherwise a block position level with the aft face of the cabin works as a guide (15% forward of stern) . A 0.5oz runner for light/medium airs is also a good addition ,with modern sail construction techniques these can be used running in quite strong winds and are very fast . For high speed downwind angle sailing ,easy to jibe with a high clew for maximum projected area, special large radial corner reinforcing for the high apparent wind speeds. sail can be set on a bow tack line ,bowsprit or spinnaker pole down at deck level . with a new range of portable roller furling systems for easy sail handling , code 0 size (half way between genoa and reaching spinnaker area) sails are more popular ,the roller gear has a high strength rope luff that transmits the furling torque up the sail. the code 0 has a necessary straight luff to match the high luff tension required for the roller to operate, (this can impose high compression loads on the mast ).the sail when not in use can be easily stuffed in a sail bag with roller attached.spinnakers can be supplied with turtles or valise type bags as required. Taffata kevlar back film front for durability, full length top batten for shape holding ,the largest jib that will fit in the fortriangle without fouling the rigging . custom designed luff curve to rig and intended wind range use ,special tack fitting allows luff adjustment so sail can be set with soft front for light weather and flatter luff for heavy weather. 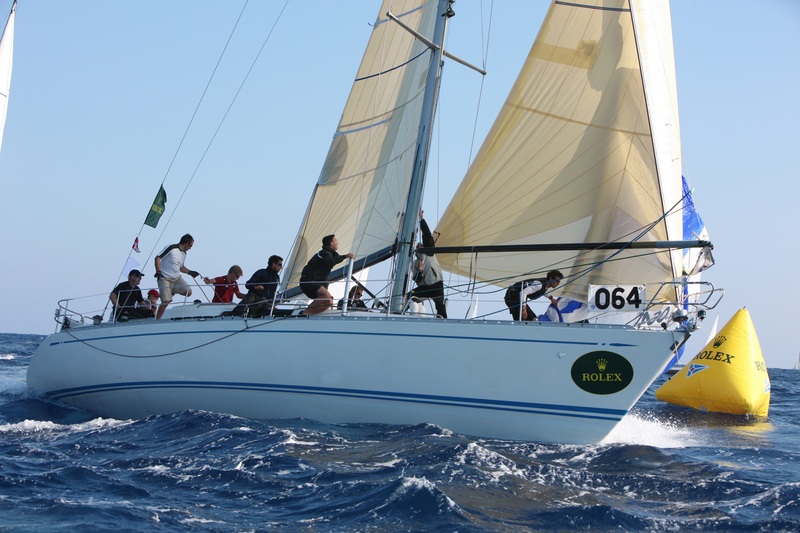 The trend towards short overlap or blade size genoas for both racing and cruising has meant a compromise roller furling genoa being used for IRC racing as the only genoa, when roller battens (TM) are fitted a straight open leach can be expected so the performance is near that of the race only non furling sail.